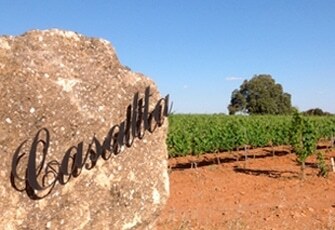 The Finca Casalta, located in Chinchilla de Montearagón (Albacete) is a privileged environment for the production of quality wines. Casalta is nestled at 1,000 meters above the sea level. In this landscape dotted with century-old oaks, the Rodriguez de Vera family has managed to consolidate its project, conveying the uniqueness of its terroir. Our personality is marked by the altitude above sea level to which our vineyards are located, which favors an acidity maintenance of the grapes by falling temperatures during the night, and synthesis of fresher and more elegant character aromas. The vineyards are composed by the local variety Garnacha Tintorera from old vines, in bush, without rootstock neither irrigation, and noble grape varieties as Cabernet Sauvignon, Syrah, Petit Verdot, Merlot, Pinot Noir and Chardonnay, conducted in trellis in Cordon Royat . 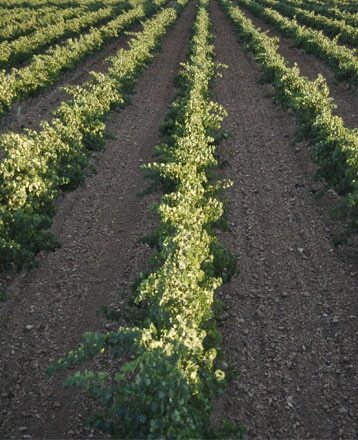 In Bodega Rodriguez de Vera we are aware that for the elaboration of a great wine, the most important thing is to get a good grape. Therefore all our efforts are aimed at getting the best quality of our vineyards with the support of our winegrower. The vineyards are planted after a thorough soils study, placing each variety in that plot that meets the best conditions. It is therefore a perfect symbiosis between variety, soil and climate. To carry out the viticulture, a short pruning is practiced, and then we always do another green pruning, removing the canopu that is not interesting due to an excessive amount. Our goal is to achieve a correct relationship between the grape load and leaf surface exposed to solar radiation. So we could get a perfect maturity in our bunches and moderated amounts of grapes with the highest quality. We have developed a complex study of soil maps to know the conditions of implementation of vines in single vineyard, so we can make a different viticulture on each zone based on the needs of the plant. In Bodega Rodriguez de Vera we have developed a drone only for monitoring our vineyards using remote sensing to observe quickly any sign of trouble in any part of our vineyard and solve it precisely. If it were not enough, our vineyards have 4 meteorological stations installed with real-time studies of different types of parameters such as humidity, sunshine, wind, precipitation … that allow us to determine the exact water needed by the vineyard, in case it be necessary for the grape do not have too much or be short of hydration. Therefore we can say that the quality we obtain from our grapes is optimal and homogeneous, protected by a precision viticulture. All this would not be possible without the climatic conditions prevailing in our field. 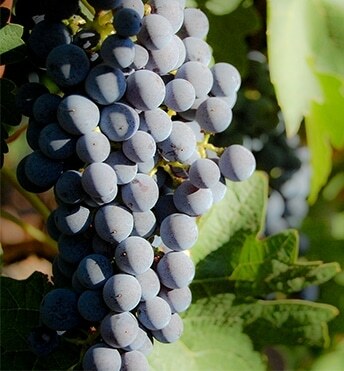 Cold winters, and sunny but not too hot summers and a moderate mesoclimate to the ripening season with cool nights, which allow extending this process by promoting the synthesis of polyphenols and aromas in grapes.